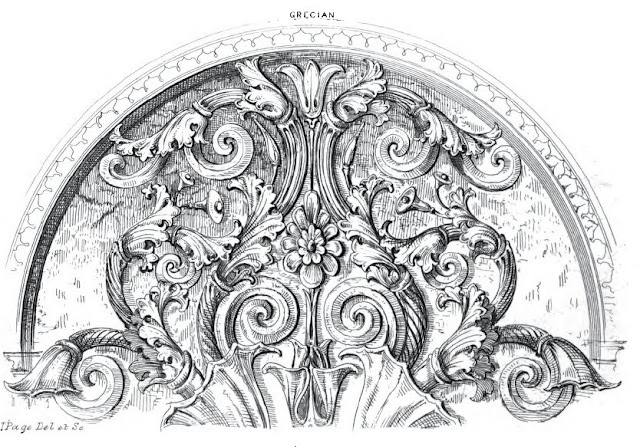 This is an introduction to the subject of how to draw the Acanthus. The study of Nature has informed Design in ways more profound than mere surface ornament. This is one simple example of decoration that serves as an introduction to the topic. 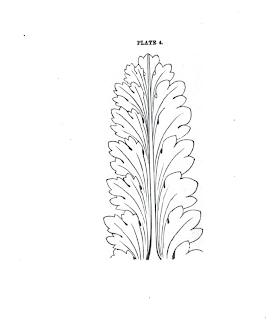 Generally speaking, the acanthus appears in two forms: the acanthus leaf and the acanthus scroll. 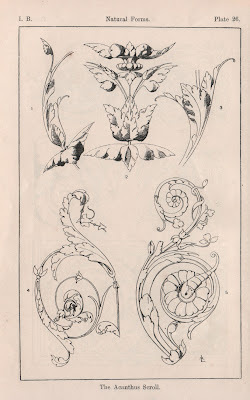 "Of all the ornamental designs which have been borrowed from plants the acanthus is the most popular and conventional. Since its introduction into Greek style it recurs again and again in every Western style. A symbolical significance has never been attached to the acanthus; its frequent and varied application is due to the ornamental development and beautiful serration of its leaves." 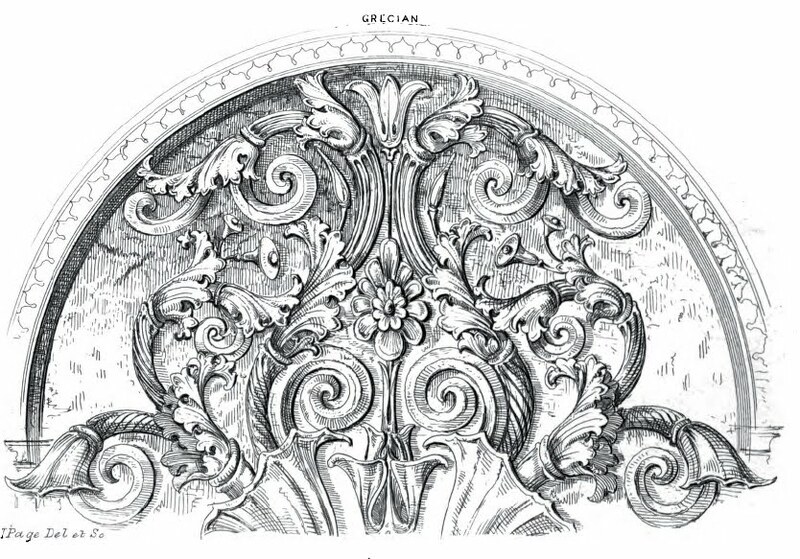 "In Greece 2 BC the acanthus was a clear reference to life emerging from a grave. It was not initially a reference to resurrection in Christian sense, but in a sense that life is cyclical." Whatever the significance, we know that ever since, it has been showing up in some form or another and as such, is an essential part of the vocabulary of any decorative artist. Yet it's amazing how often we see it done poorly. Here's a great example that illustrates what I'm talking about. 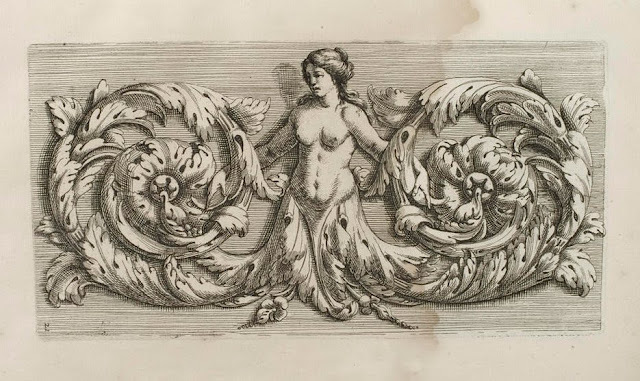 It's from the book "Constantino Brumidi, Artist of the Capital". 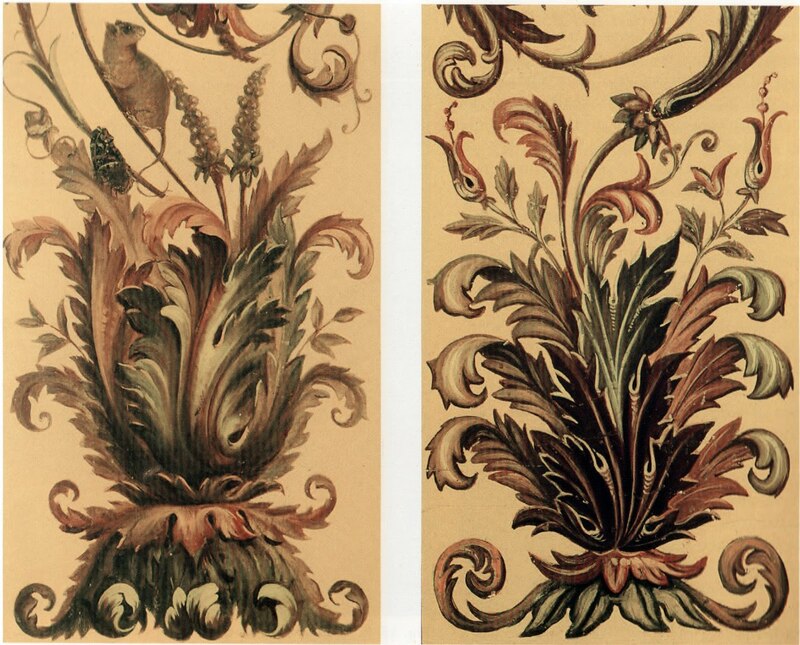 While neither example of acanthus is especially good (the one on the left, although much better, is bristling with spines and appears to be growing), it's easy to see that the artist responsible for 'restoring' the image on the right did so with heavy-handed over-painting, and clearly did not know what he was doing. 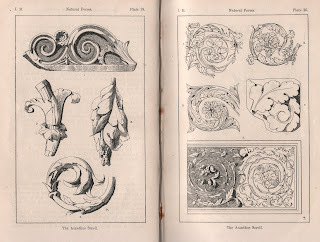 These illustrations should help develop the proper technique for creating the Acanthus and Acanthus Scroll. By the way; once you're done on this page, don't forget to check out Part II and Part III for tons more reference material and ideas. 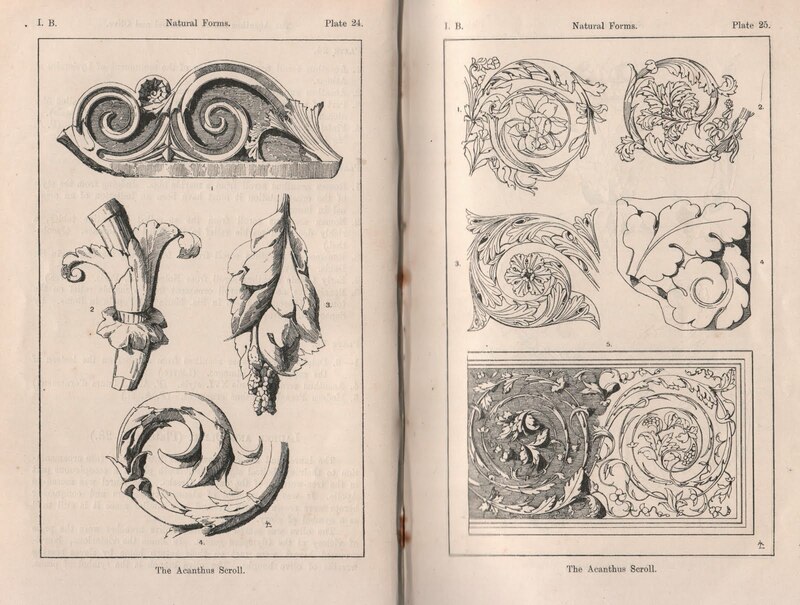 Part IV is a detailed geometric analysis showing you how to draw a volute, or scroll, of the acanthus according to ancient Roman principles. 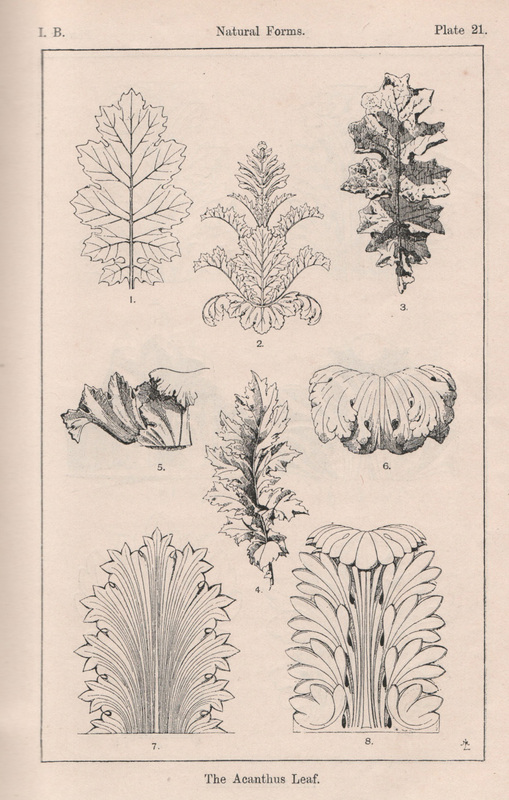 Let's start by taking a look at illustrations from Meyer's book of the acanthus naturalistically treated (in Plate 21 below, illus. 1-4). Following that are various schematic illustrations (Plates 21, 22 & 23) from antiquity to modern times. 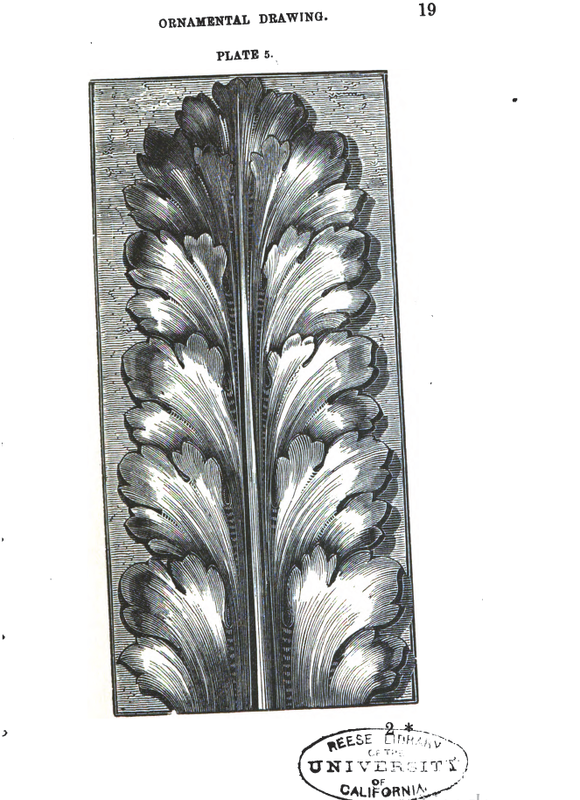 The second generic form that the acanthus takes is the acanthus scroll. Of the acanthus scroll, Meyer tells us that it is "a purely artistic invention," pointing out that "the natural acanthus has no tendrils. 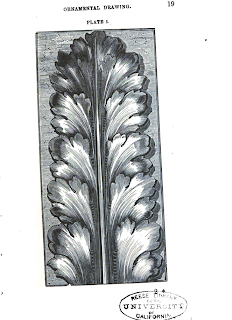 "Despite the artifice, it's as popular in decoration as the acanthus leaf itself. 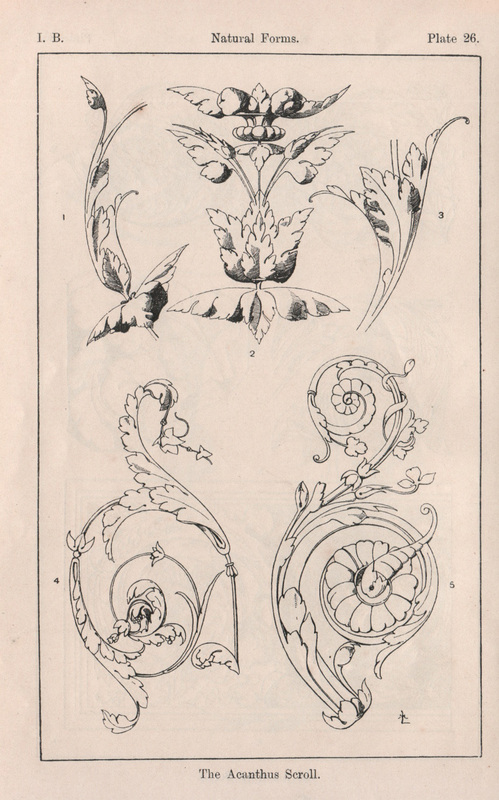 "Flowers and calices, such as frequently occur in acanthus ornamentation, are usually developed on the lines of the acanthus leaf, however freely they may be composed in other respects and however little they may recall natural models. 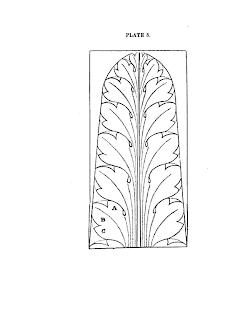 The acanthus scroll is not seldom supplemented by and organically combined with forms from other genera of plants, for example: laurel, oak leaves, ivy, ears of wheat, &c. What was said above of the acanthus leaf holds good here too for the differences of execution in the various styles. The greatest luxuriance and the highest elegance were attained by the Italian Renaissance. 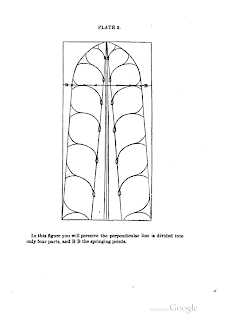 It is characteristic of the Louis XVI epoch that the spiral lines which form the basis of the scroll have been elongated and, so to speak, eliptically displaced." These illustrations by the engraver Jean le Pautre, demonstrate the riotous profusion that the acanthus can attain. The guy was clearly a madman, and yes that's why we love him. 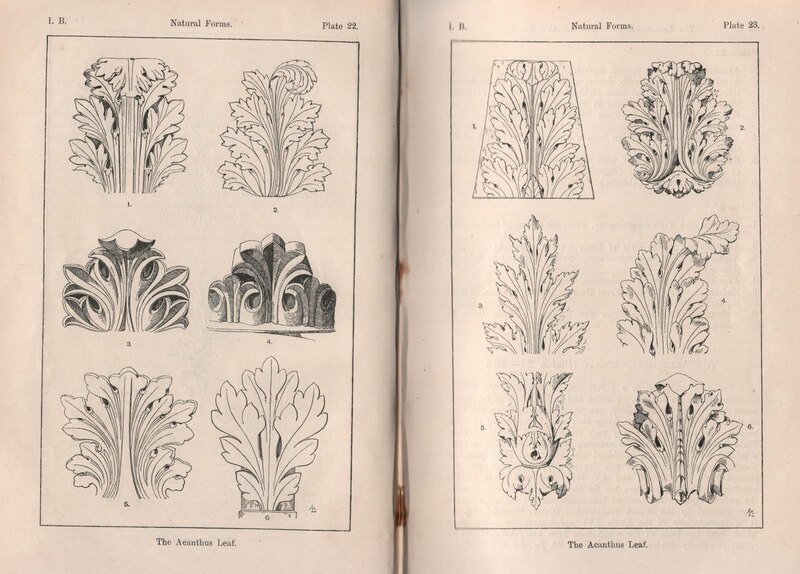 This final set of images are from a fantastic book titled "Guide for drawing the acanthus, and every description of ornamental foliage," by James Page, and should serve as templates for study of the construction of the acanthus. I posted a set of a lot more images from this book here. 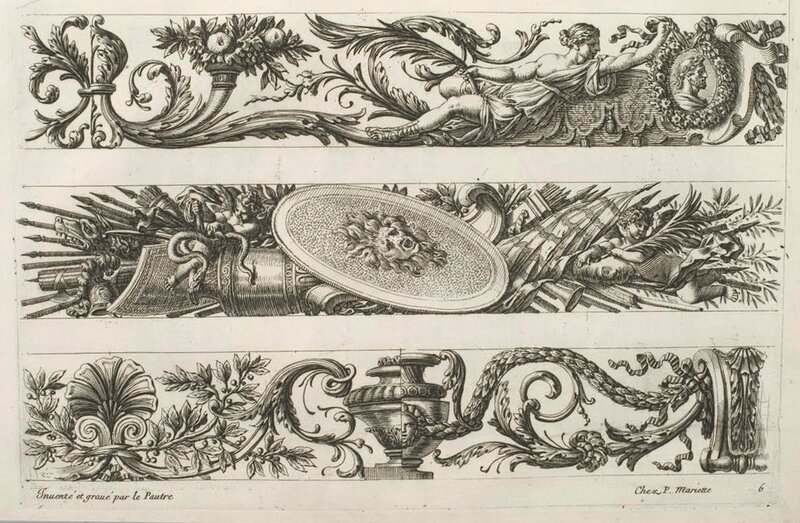 I also posted an article about 18th Century French marquetry drawings, which have numerous acanthus leaf and scroll illustrations in great detail, that I also recommend taking a look at. Actually, Ann, I think Alan is doing just that! Thanks Ann. And thanks for the shout out on your Blog. Very nice! 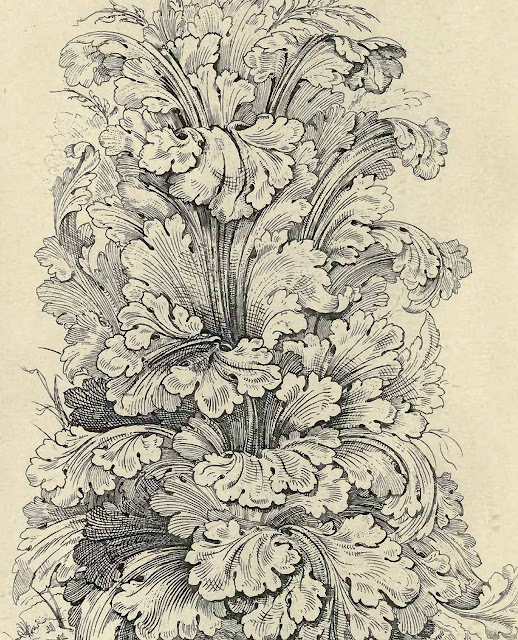 great tutorial on the acanthus...you had me at riotous profusion! 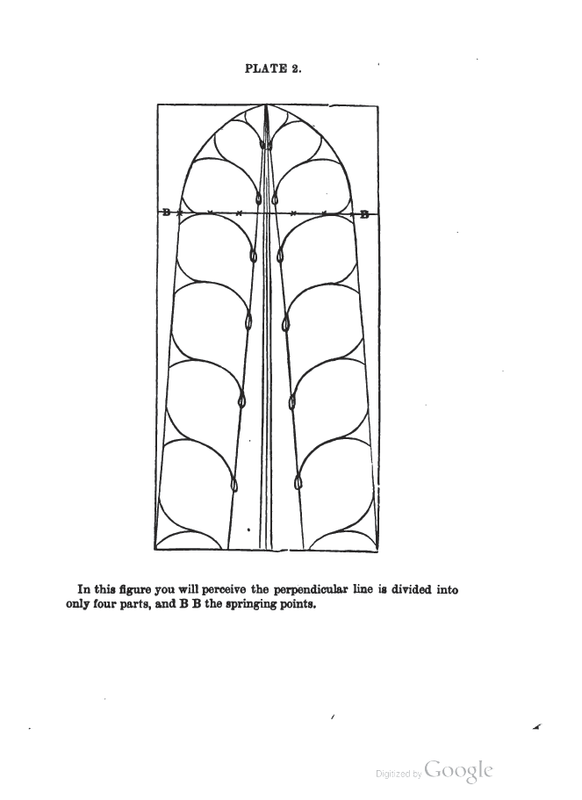 This is very helpful for my work on the sepulchral art of Paduan Jewry. Thank you very much. My brother David and I were in the process of restoring an 1884 New England Victorian home where he and our mother lived. Sadly, they both passed away within months of each other this year. Today I was looking at Victorian decorative tiles on line in preparation for restoring their downstairs bath. 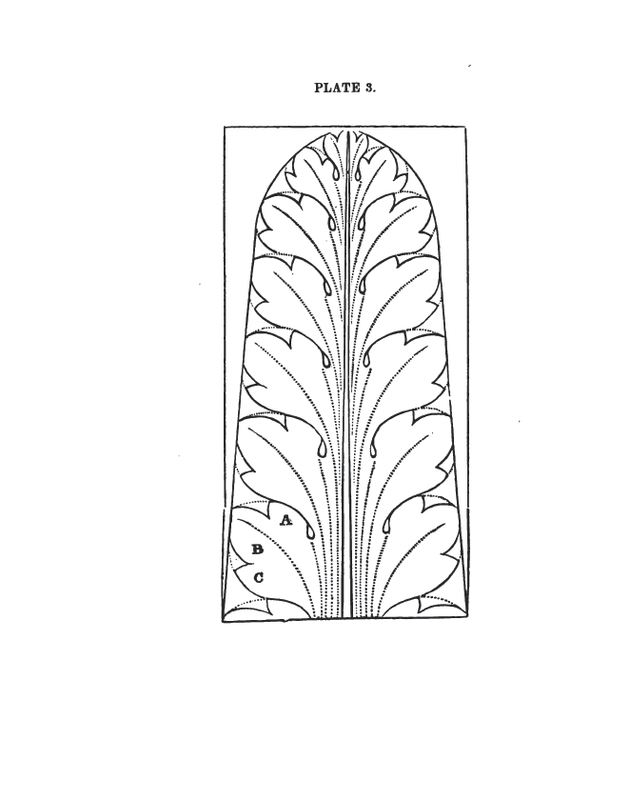 The one tile that I was drawn to was an "Acanthus" design. My brother was an avid gardener of both flowers and vegetables, loved history and did professional fact gathering for researchers. I thought he would like the design but I wanted to know more about the acanthus and googled images. Your blog was the first thing I opened — (he must have hand a hand in that is all I can say!) Thank you for your beautiful presentation on the subject. It brought me a certain sense of peace in going forward with this project on my own. Omg, this is helping me so much! Thank you for posting such a wonderful blog! Omg, just find I what to search and so helpful in arts, thanks a lot. It would be so nice of you if you share some links to other sources dedicated to this theme of course if you are aware of any of them. 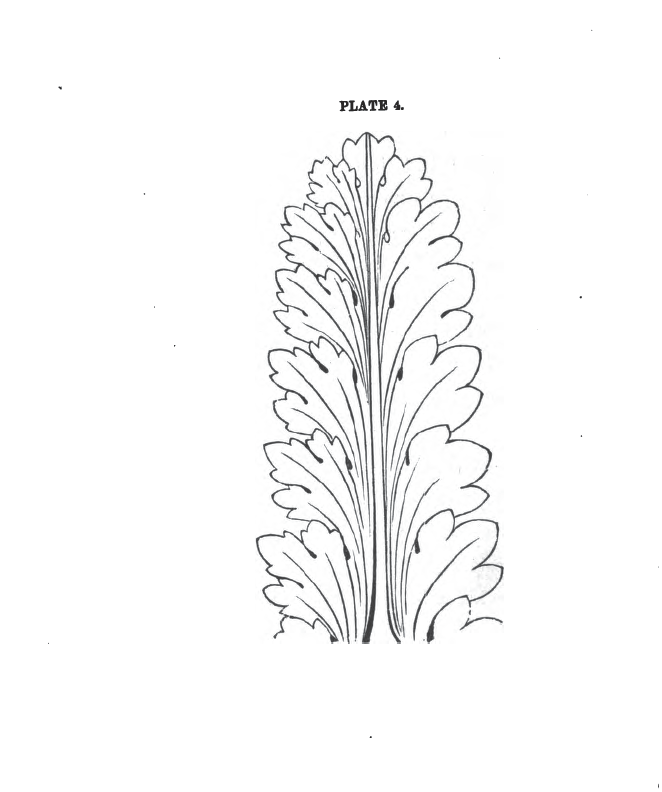 How to draw the acanthus, parts I-IV not enough? 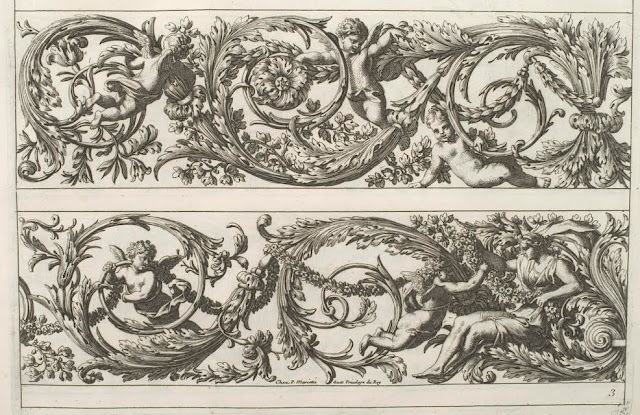 After all this time, I can finally understand what the leafy decorative drawings are! I need this book, how much price? Please? If you add your email address here, the only things you'll receive from me are tutorials and tons of thought-provoking and useful reference material that you won't find anywhere else, and that's it. I promise! Fear: The Enemy of Creativity? 10 questions: Are you a Professional or a Prima Donna? 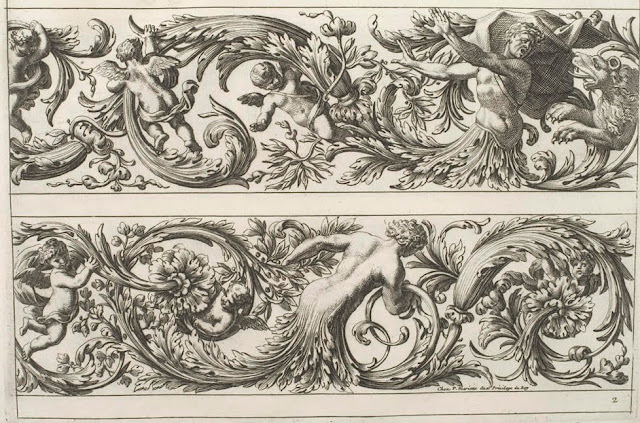 277 Engravings of Raphael's Loggia FREE! De retour sur Blogger 3! / Back to Blogger 3!